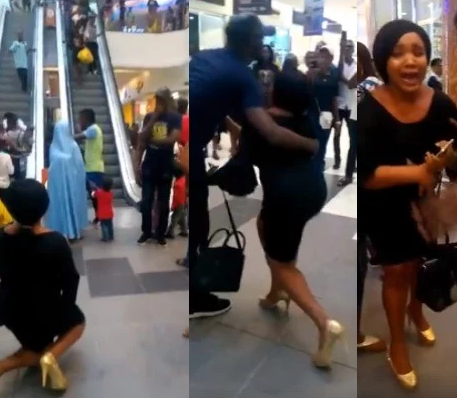 The video making the rounds on social media, shows a man, presumably Nigerian, rejecting his grilfriend’s proposal. The young lady who might have waited for him to pop the question, took it upon herself to do the asking inside a mall. The man who appeared shocked, hugged her and walked away without taking her ring. The young lady couldn’t hold back her tears as she wept profusely after the rejection.